There is a new State Fair coupon you will want to print. 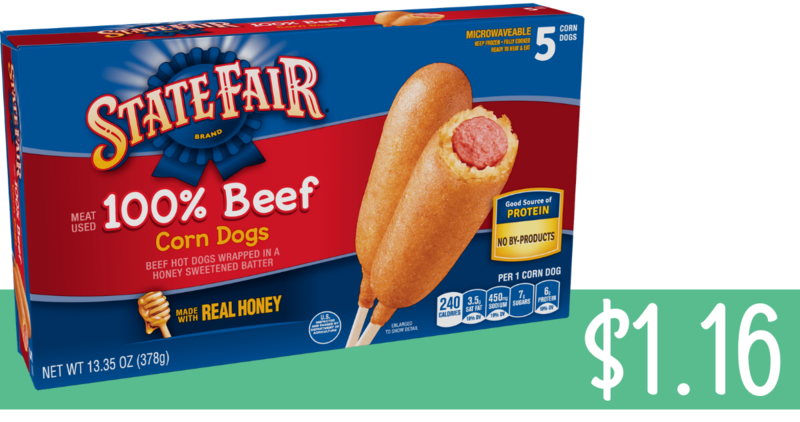 It’s valid for 75¢ off any State Fair corn dog item! You can use this coupon at Walgreens starting this coming Sunday (3/17) along with an Ibotta offer to get boxes of corn dogs for just $1.16 each!